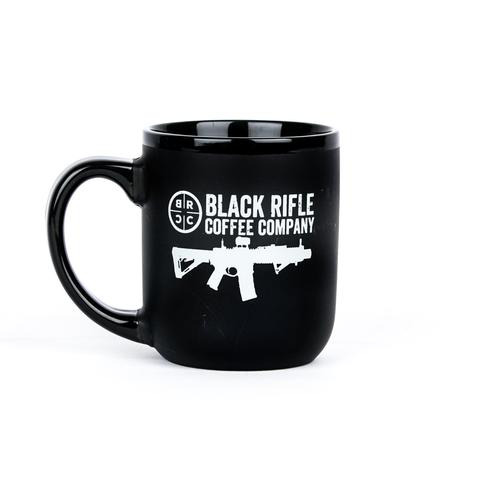 Black Rifle Coffee in a Black Rifle Coffee Mug? It's science! Engineered by DARPA Rocket Surgeons to improve the already incredible taste of Black Rifle Coffee. Now with improved Kung-Fu grip texture on the bottom of the mug to help hold your mug with one hand while your choppin' and poppin' with the other. You can tag the bottom in chalk with your name or other fun messages. Holds 12 oz.